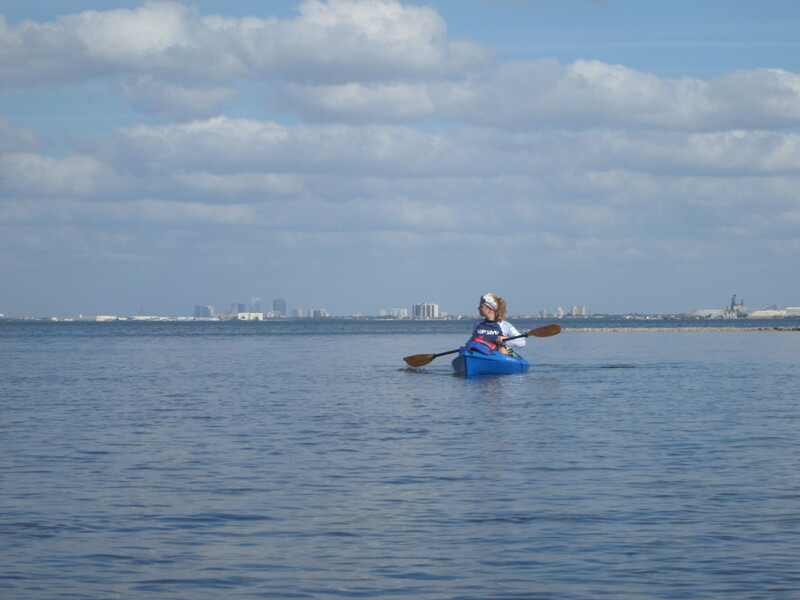 Last week, I decided it was time to get back on the water and go paddling. 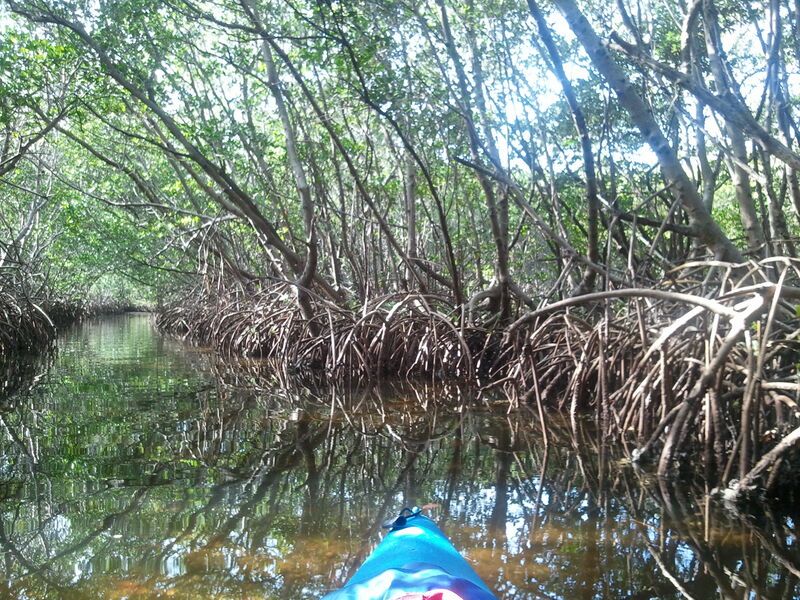 It has been months since our last kayaking trip and the 80-degree January weather is perfect for being outside. Marsha, our friend down the street, graciously loaned us her kayaks for two days while I mapped paddling routes that we’ve never explored before. 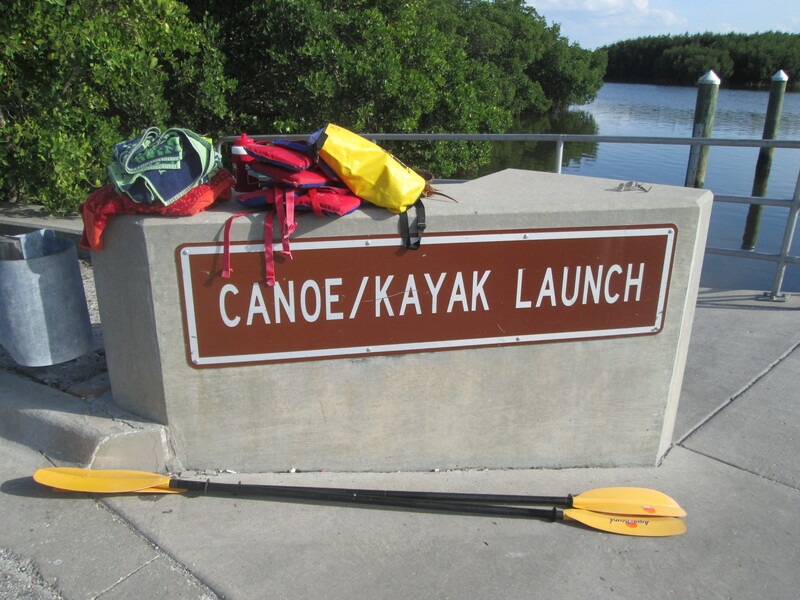 The first day, we were set to paddle Weedon Island – a marshy, mangrove-covered preserve on the west side of St. Petersburg (right on Tampa Bay). 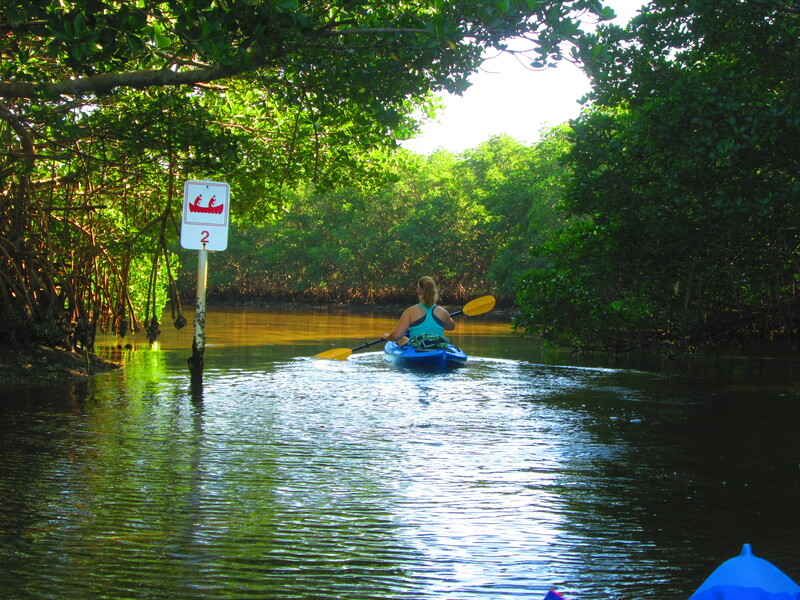 The kayak trail is 4 miles of loops, tunnels and swamps and we couldn’t wait to launch our boats! 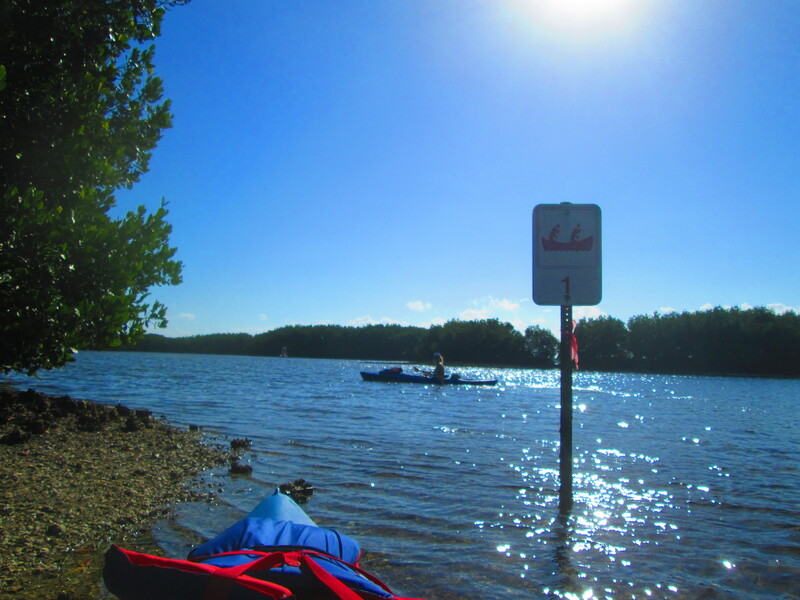 Being the excited, impulsive person I am, I failed to check the tide charts before launching our kayaks. 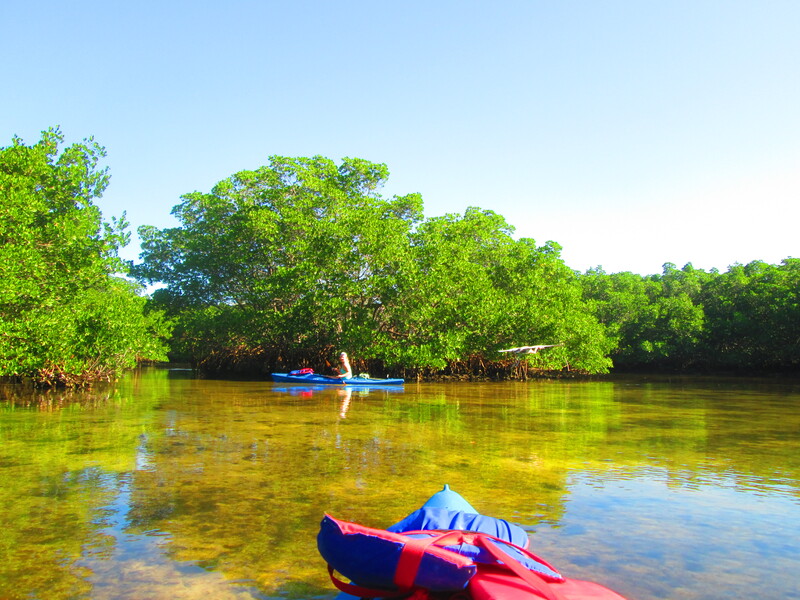 We ran a couple of grounds, had to pull the kayaks over oyster beds and eventually, we had to turn around and do the paddling trail backward – finish to start. For Christmas, my parents bought me a new digital camera – one that’s waterproof and perfect for rugged adventures. 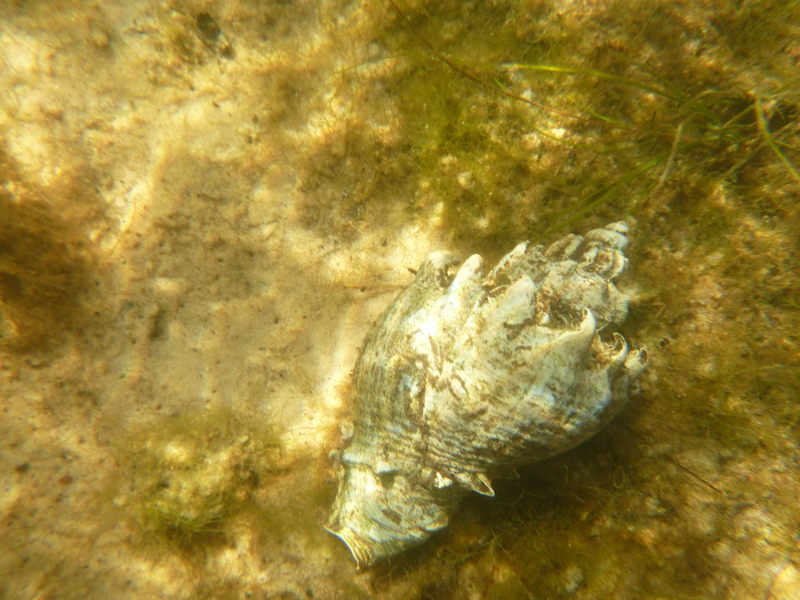 Low tide was a great time to shoot pictures of the conchs and lightning whelks living in the sand. 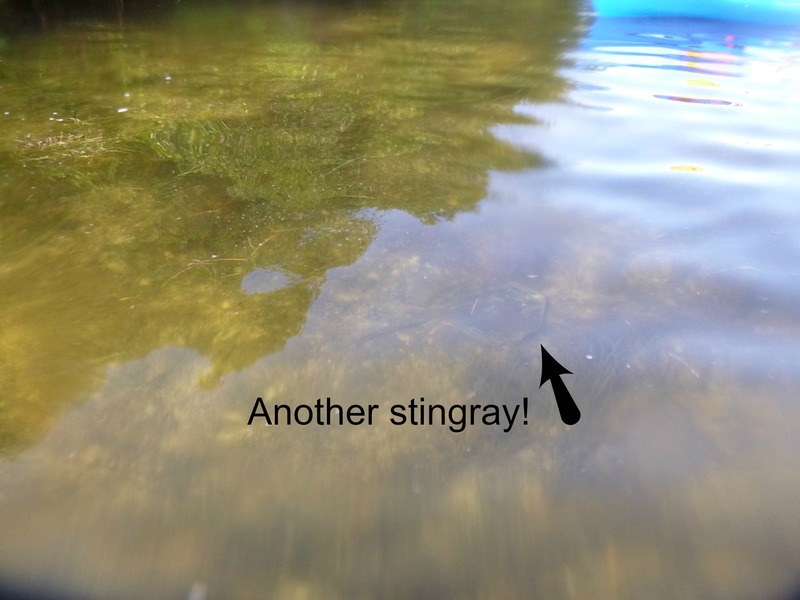 The low tide also made for the easy stingray spotting! Unfortunately, they scoot away pretty quickly, so it was difficult to take good snaps. Plus, they seem to enjoy resting on the sand in the sun and we felt bad disturbing them. 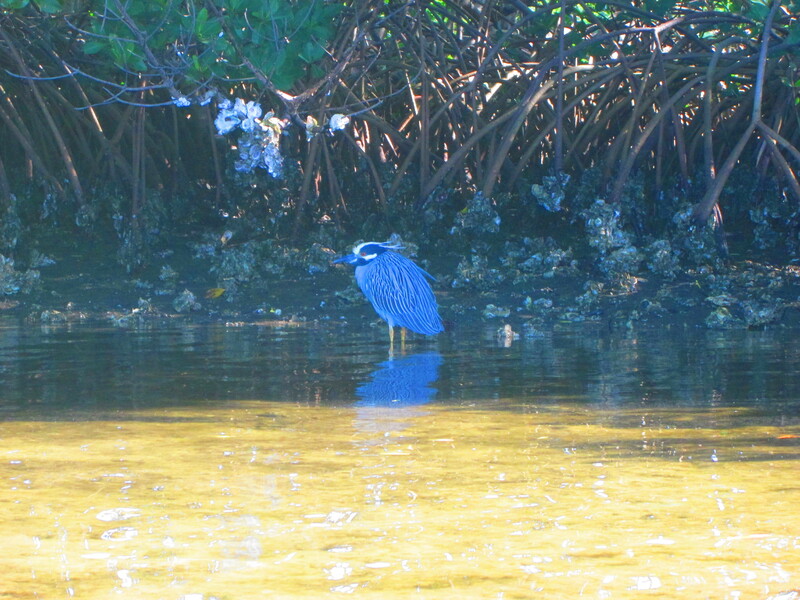 We’re not avid birders but Weedon Island is a fantastic spot to see all kinds of native Florida birds. 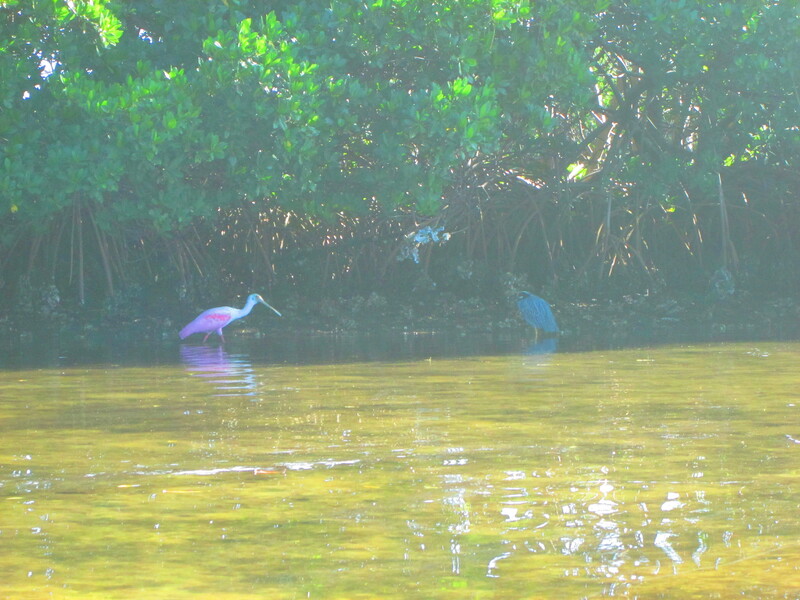 We spotted Roseate Spoonbills (they’re pink like flamingos with a platapus-looking bill), Great Blue Herons, Ibis, Egrets and many others that we had never seen before. Because we didn’t have a map (nor did we take a picture of the map at the trailhead) and we were paddling the trail backwards, it was up to my [very good] innate sense of direction to get us on the trail and keep us from getting lost. 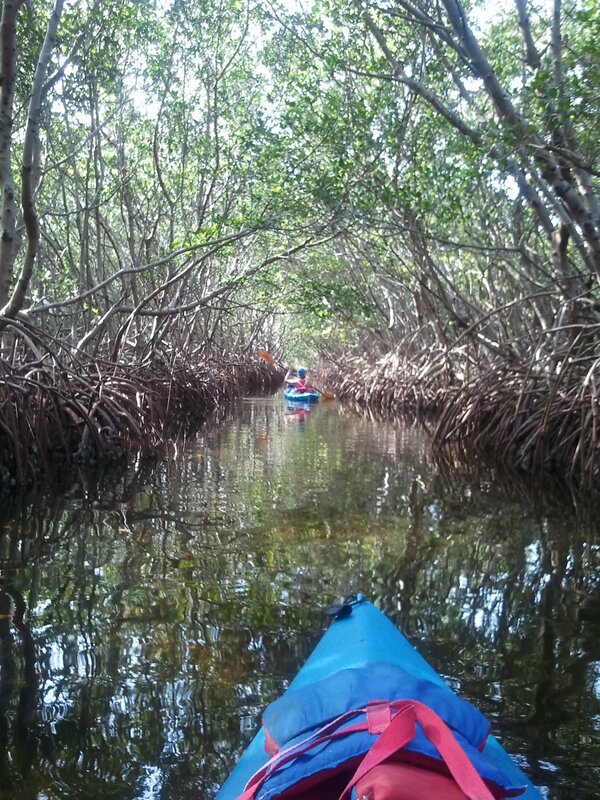 While we were figuring out the numbered sign system, we stumbled upon a beautiful mangrove tunnel. 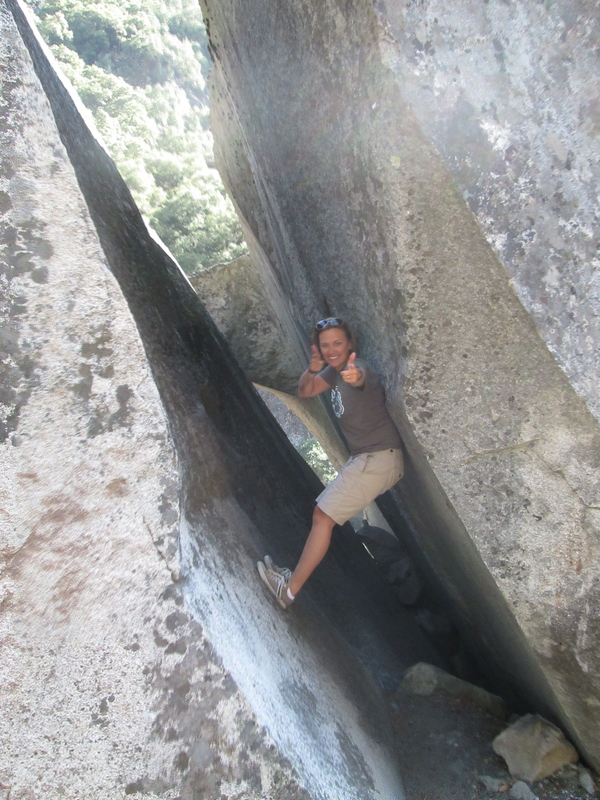 The tunnel was so long and had such a relaxing current, it was like floating down a lazy river. We hardly had to paddle! 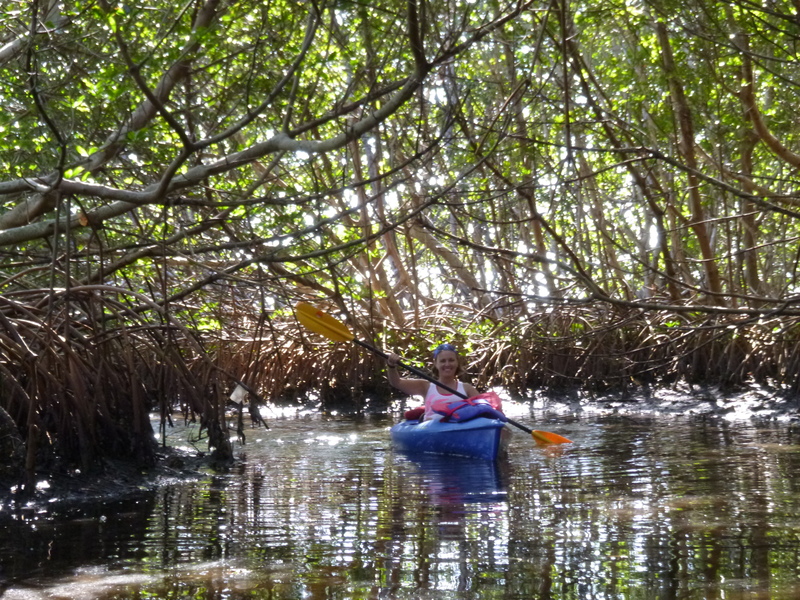 Mangrove tunnels are so quiet and relaxing and provide nice shade from the direct sun. 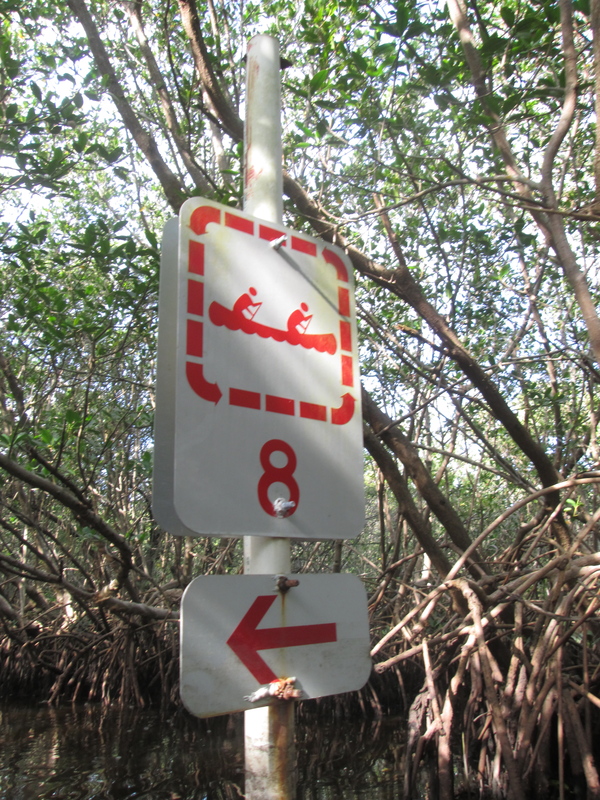 Once we made it through the mangrove tunnel, we finally figured out where we were and the numbered signs were easier to follow. (Before we realized we had turned around and were doing the trail backwards, it was so confusing to go from marker #3 to marker #37!) We decided to deviate from the trail a bit and check out Tampa Bay. The Bay looks HUGE from the water level – boy did I feel small! That’s the city of Tampa in the background. 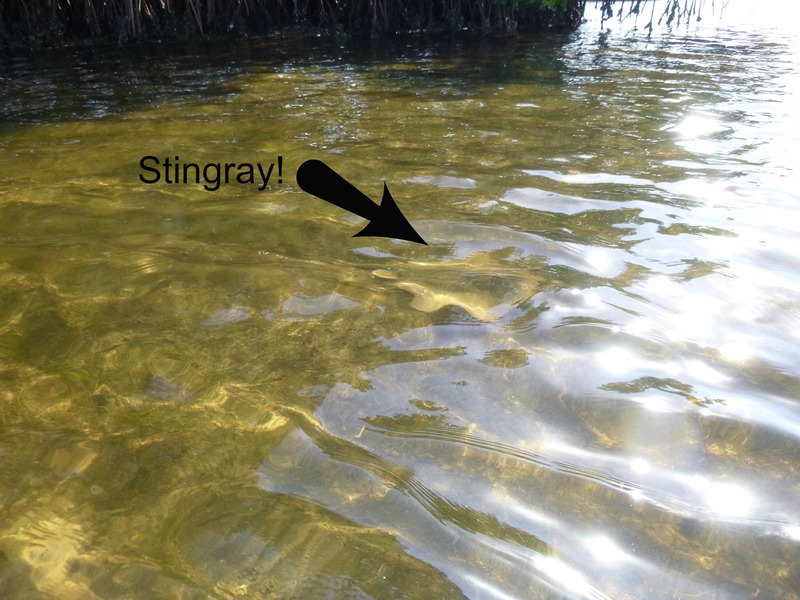 Back on the trail again, we spotted some more stingrays and various birds and oyster beds. 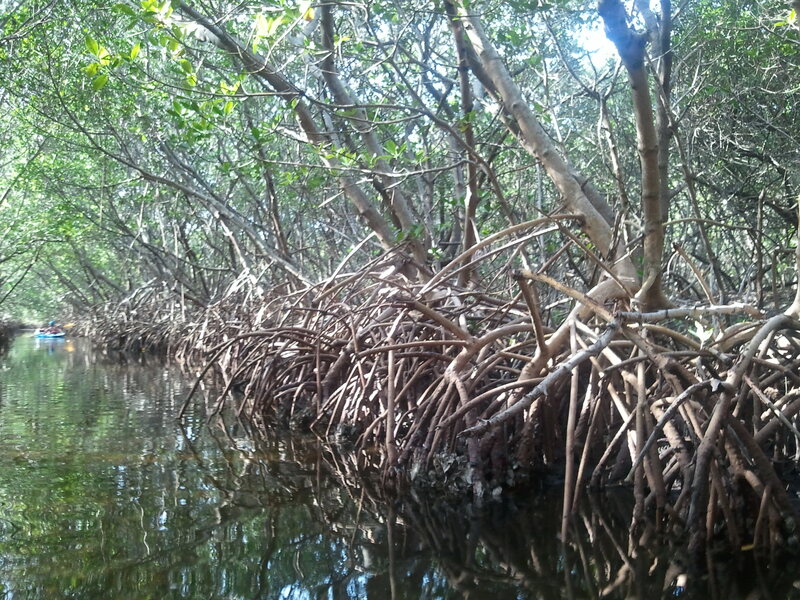 The last part of the trail (which is really the first part of the trail, if you follow the markers in order) was our favorite – it was 1-2 miles of mangrove tunnels, one right after another! Mangrove Tree Crabs were everywhere! 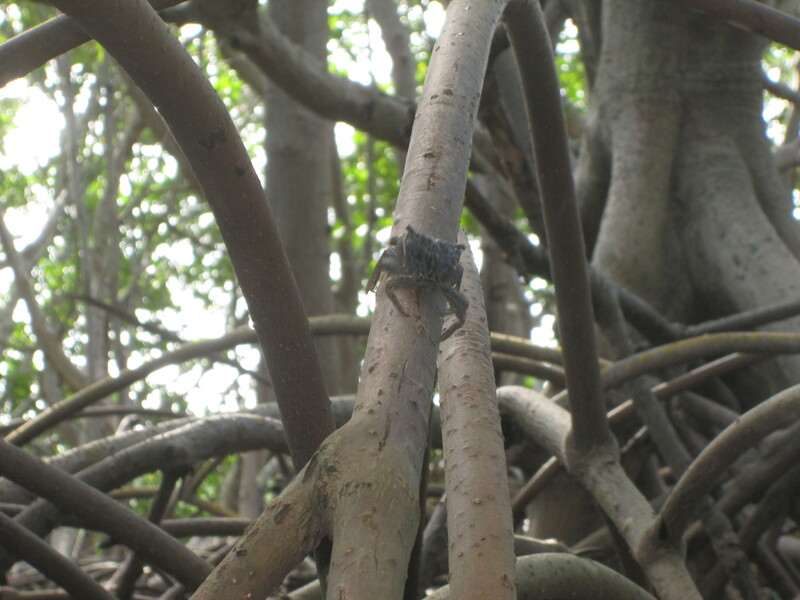 What we thought were just knots in the bark of the mangroves were really dozens of crabs climbing the plants’ roots. THOUSANDS of crabs scurried around us as we floated through the tunnels. 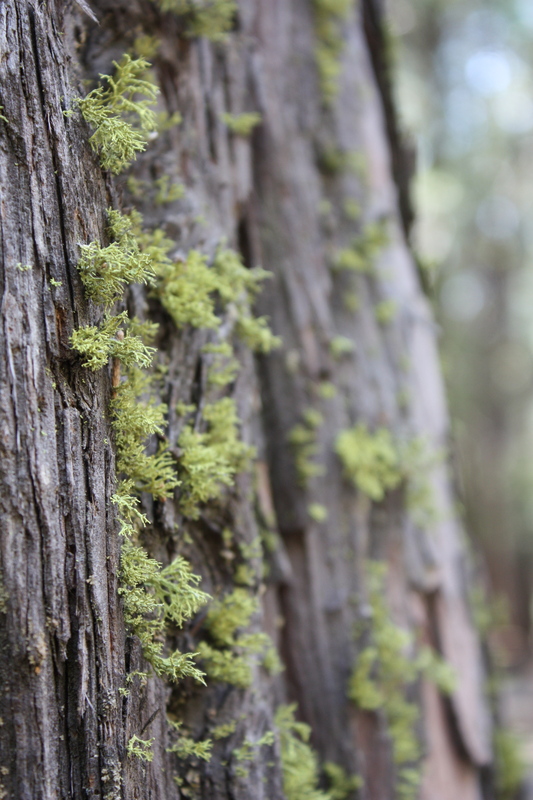 And once we realized how many there were, it gave us the jitters. After a bit of research, we later learned that the crabs are primarily herbivores. 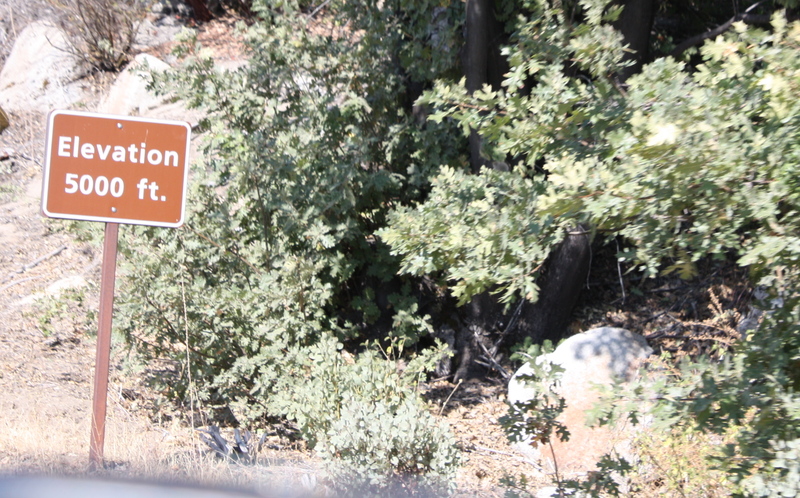 Thank goodness.. because there were a ton of them and only 2 of us. 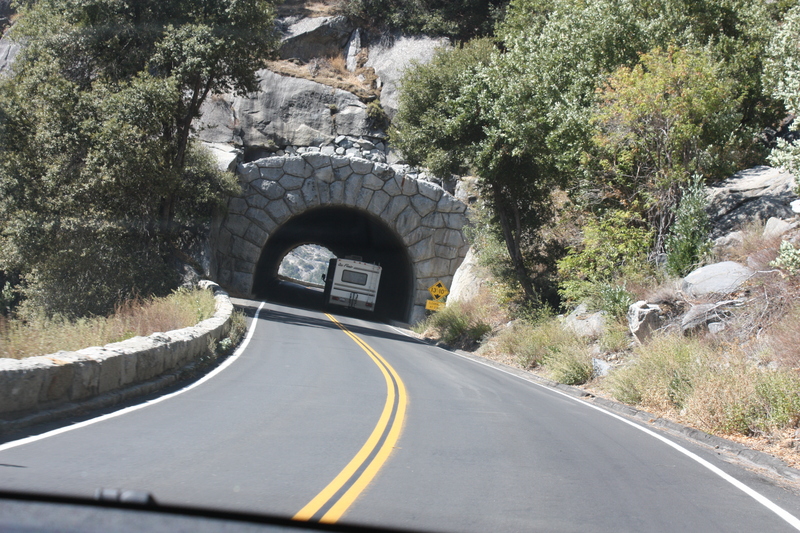 I floated through the various tunnels with my mouth agape the whole time – in awe that something so amazing was just a few minutes drive from our house! We eventually made it through the last of the tunnels and back to the beginning of the trail (for us, the end of the trail). We made it back to marker #2/3, right where we turned around at low tide. 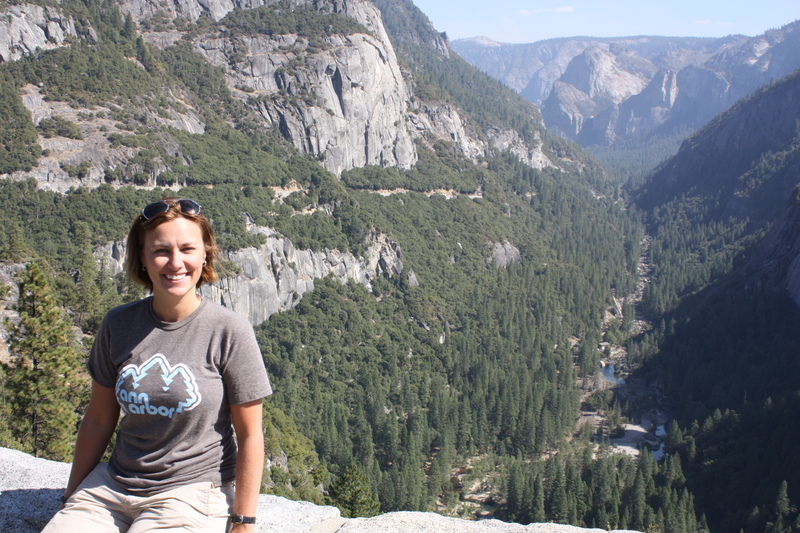 Today’s travel tip: Use a water bottle as a snack container – saves space, stays fresh, and is great when you have dirty hands! 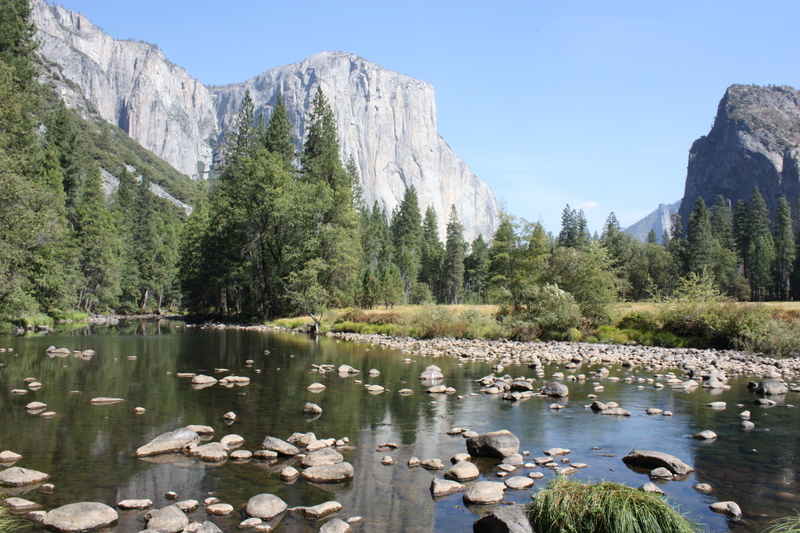 Most of us outdoor junkies have more than one water bottle, so just use one for snacks on your next adventure! 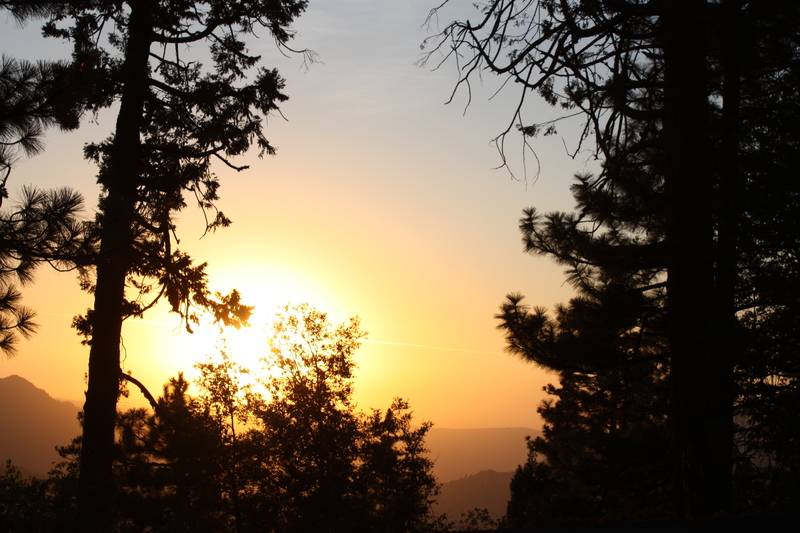 Happy camping tips, courtesy of REI. 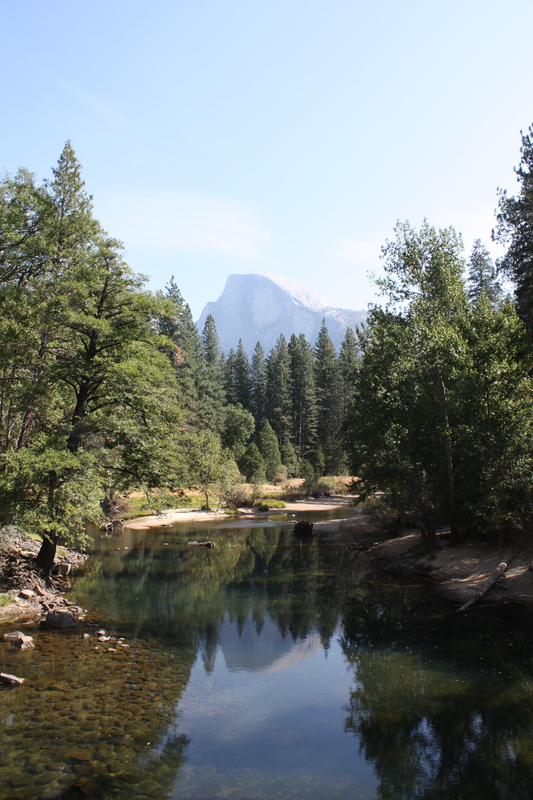 Scenic Trails in the U.S. 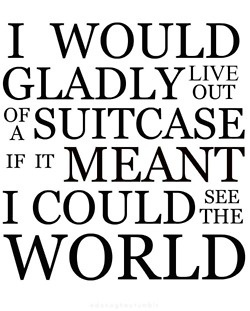 Thanks to my travel buddy, Carrie, for posting this on Pinterest. Love REI! 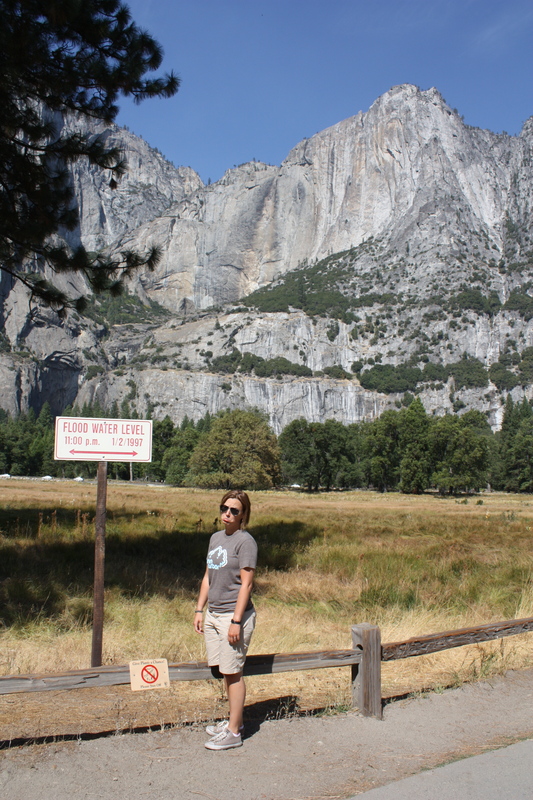 We decided to splurge at Yosemite and stay at a lodge right outside of the park. 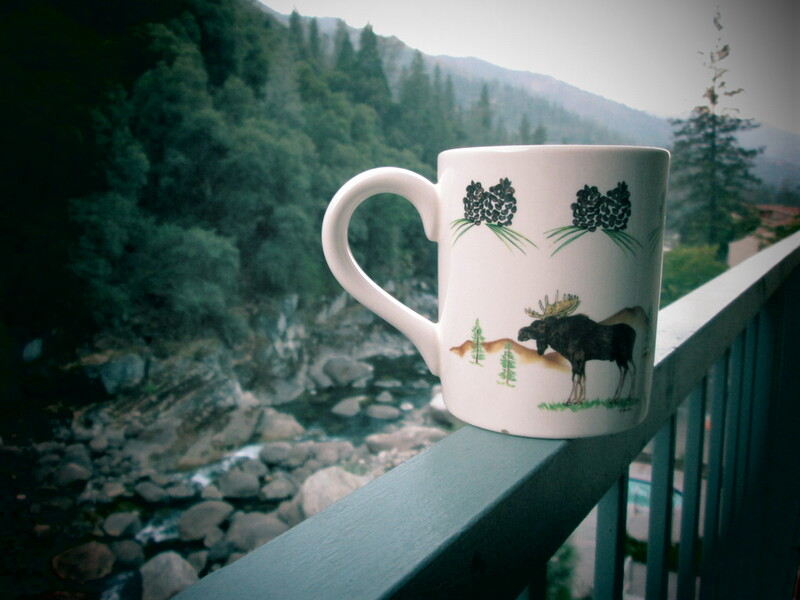 Our room had a fireplace and massive jacuzzi and it overlooked a beautiful river. The weather was great and we enjoyed sitting outside on our balcony the next morning drinking coffee in the big outdoors. 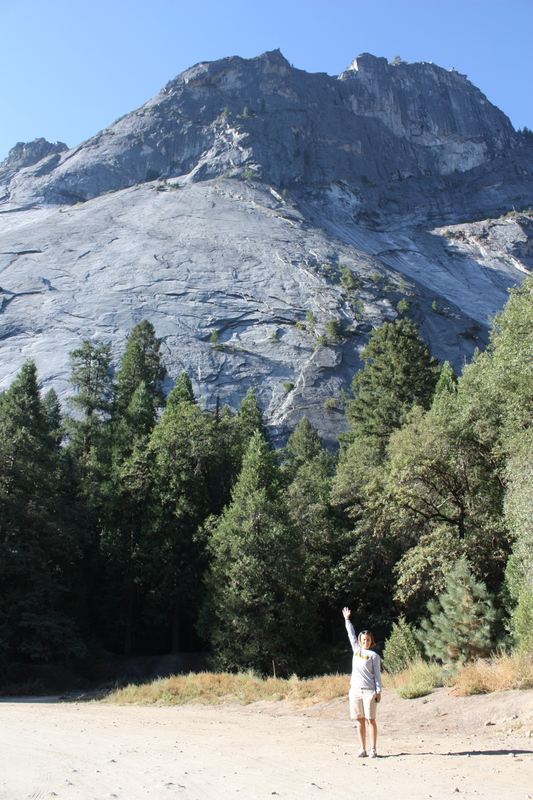 We were up early to explore the park just after sunrise. There was so much to see! 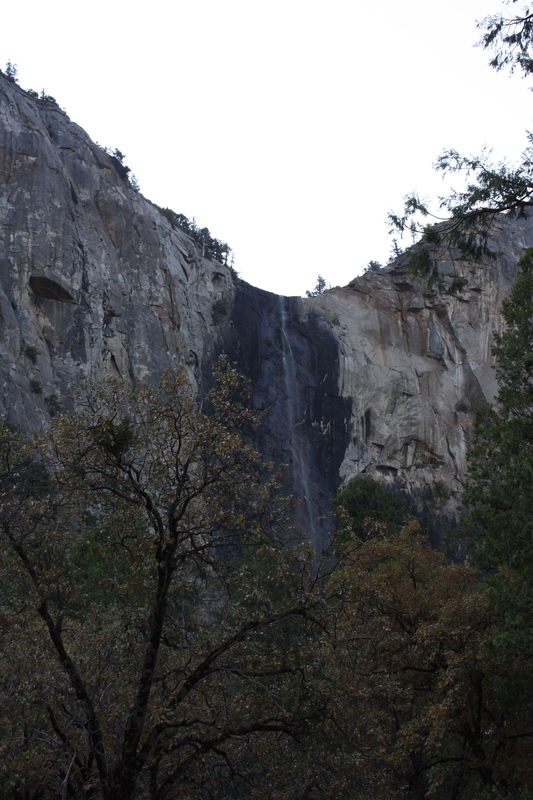 In the spring, this is Yosemite Falls but in the fall, there isn’t much water. Guess we’ll just have to go back and see it again! September next to the cliffs! 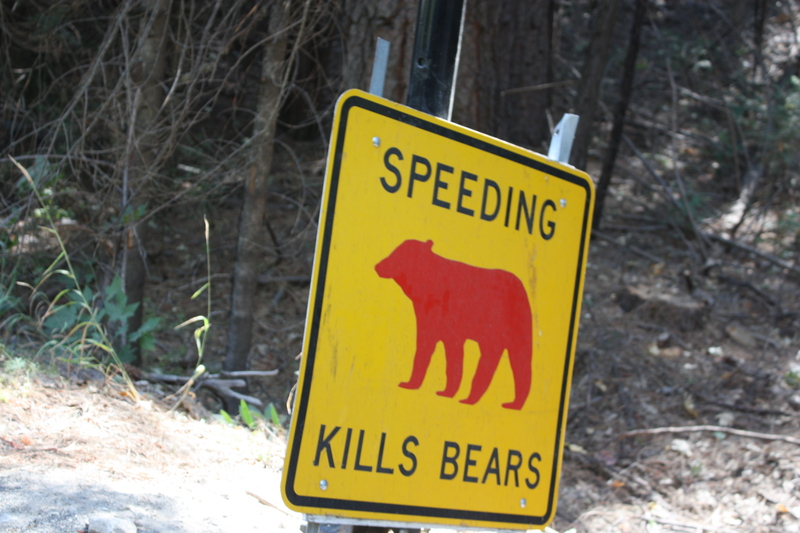 We didn’t see any bears but they’re out there! 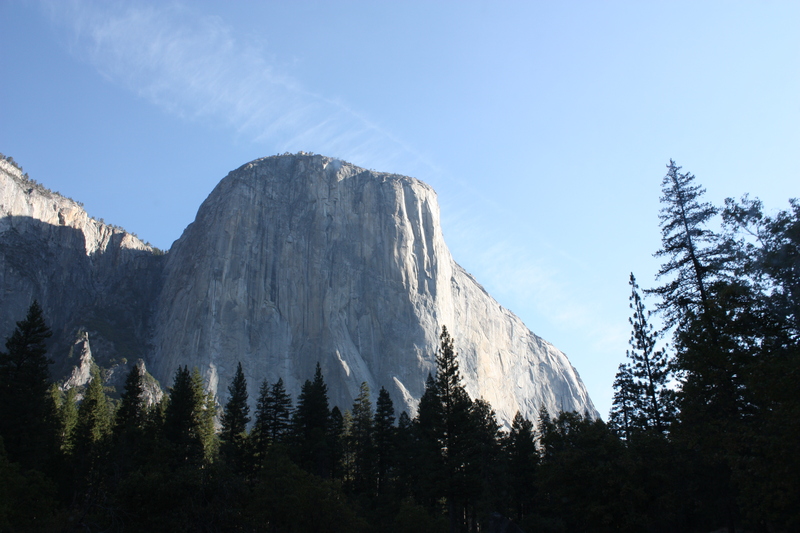 We saw climbers taking on El Capitan the night before – in the dark! The flood level was high that year! 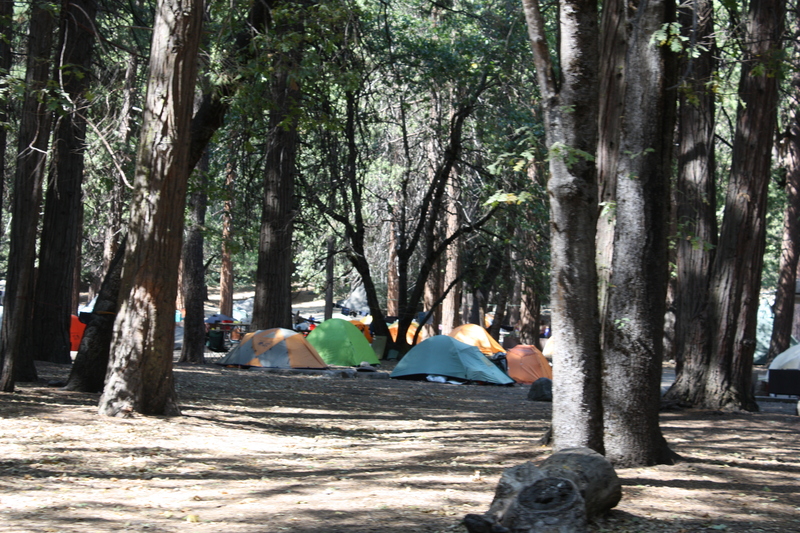 Lots of campers in Yosemite. 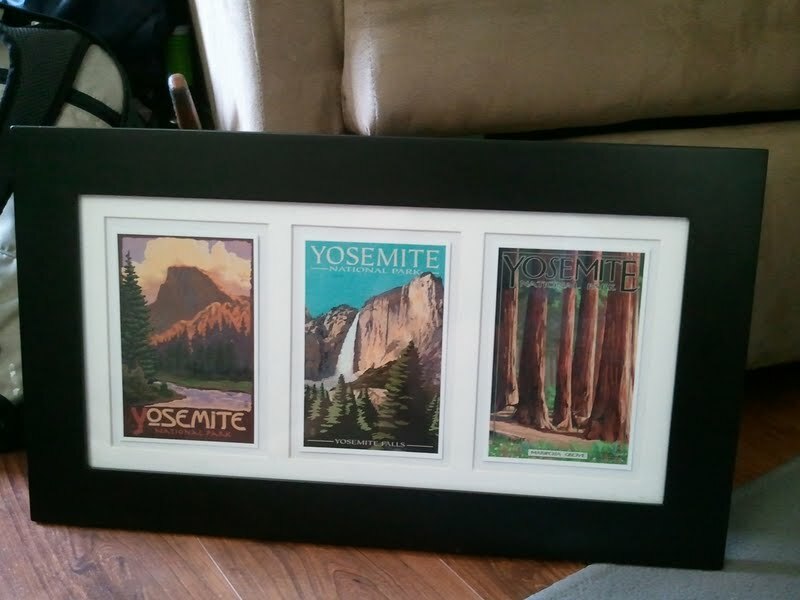 We would LOVE to camp there. 15 attempts later, we finally took a good picture! September sat on the edge of the cliff for this picture. So intense! 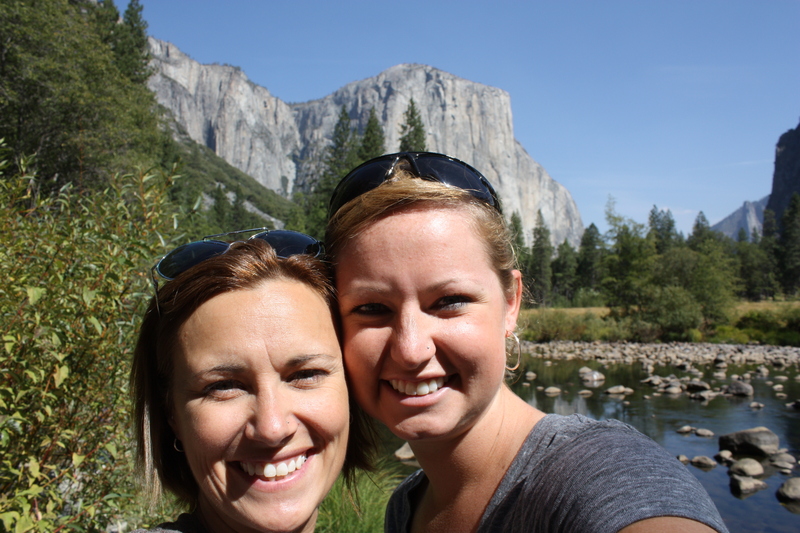 We left Yosemite and headed to Truckee, CA to visit one of September’s best friends! 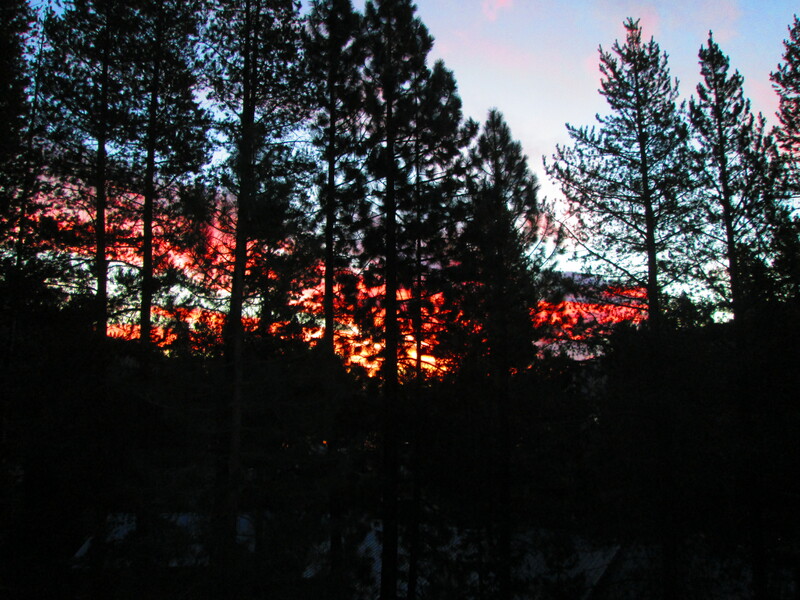 Truckee is right outside of Tahoe, near the California/Nevada border. I really bombed on the navigation for this leg. 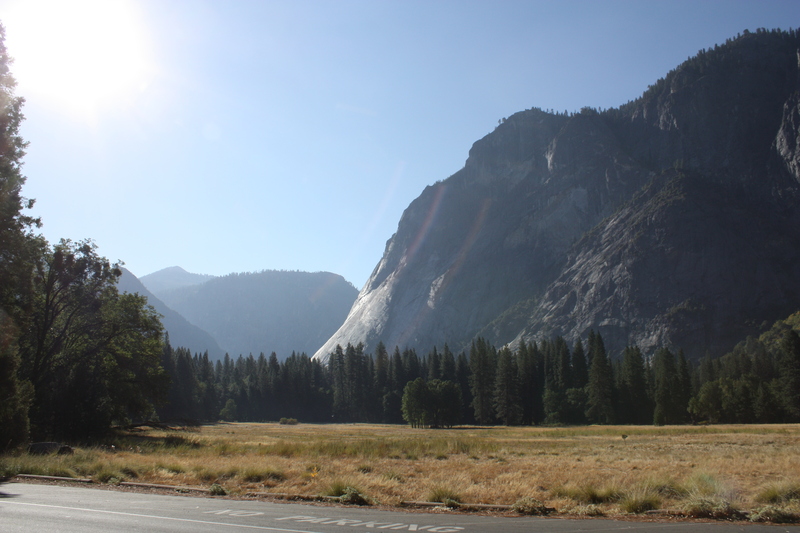 I was convinced the drive was only 3.5 hours but I failed to consider the slow speeds through Yosemite and the endless curvy roads… so the trip took nearly 7 hours. But it was so great to see friends! Courtney, Hudson (7 weeks old), September and me! 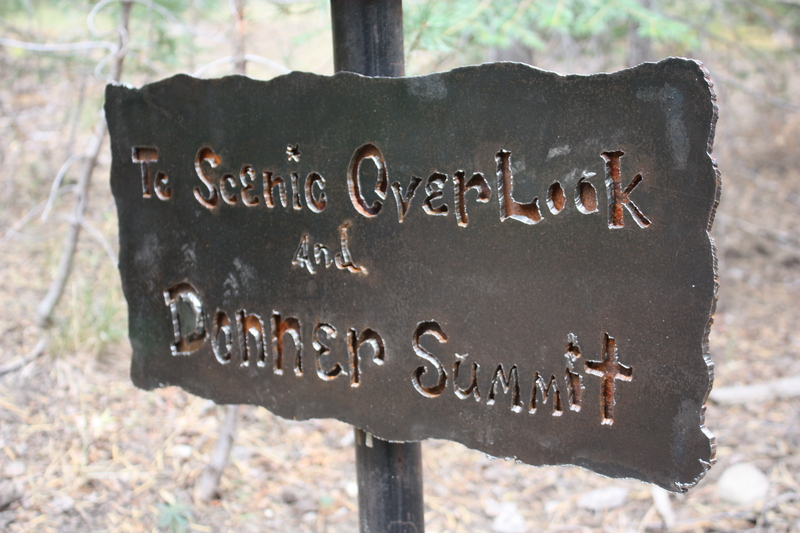 We hiked a great trail off of Donner Pass Rd and at the top, there’s a pretty lookout over Donner Lake! 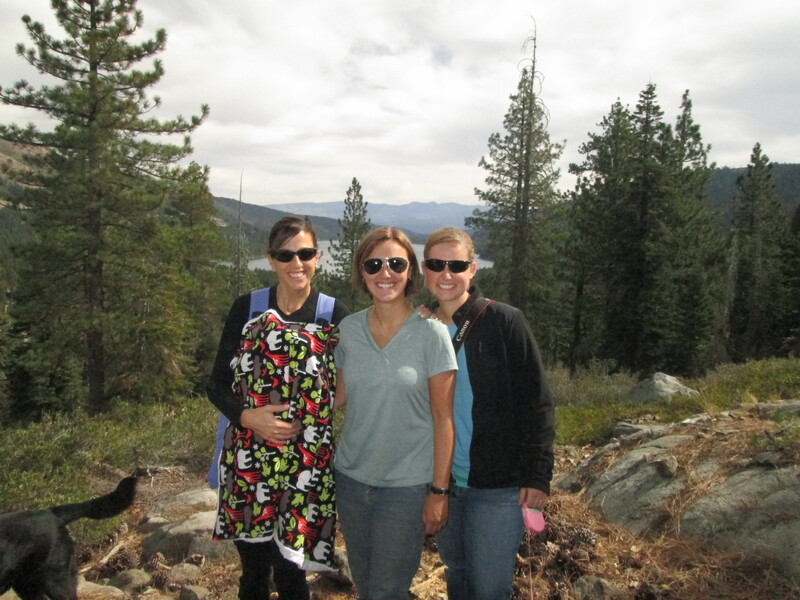 We had such fun time hanging out in Truckee. The sunrise the following morning was awesome! 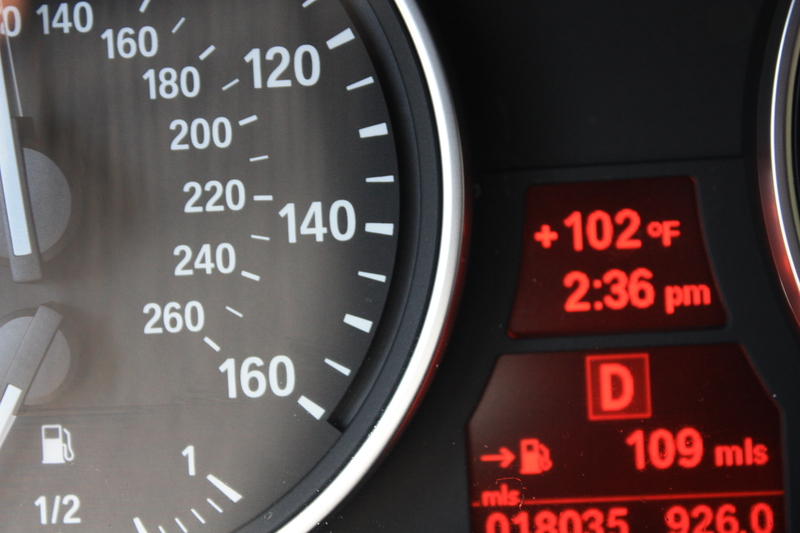 We took this photo on our way to the Grand Canyon – it was so hot outside! 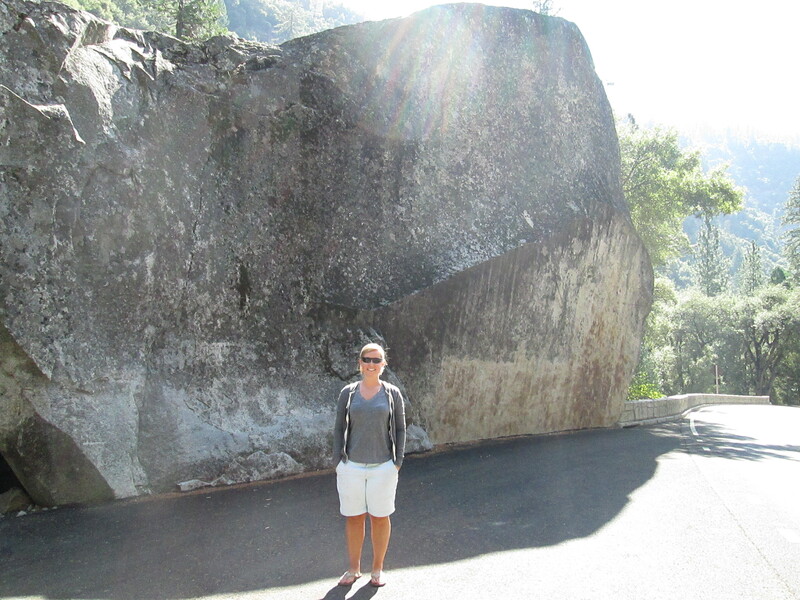 The drive from Vegas to Yosemite was slightly longer than we anticipated. We originally mapped 6 hours but it was more like 8. 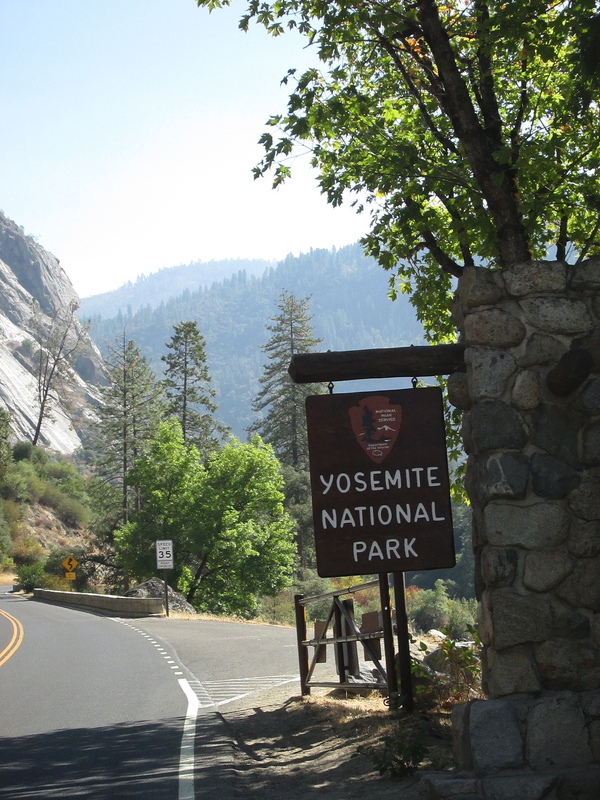 Much of the drive was highway but as we approached California and the National Park, we drove along some VERY steep cliffs with tons of switchbacks. 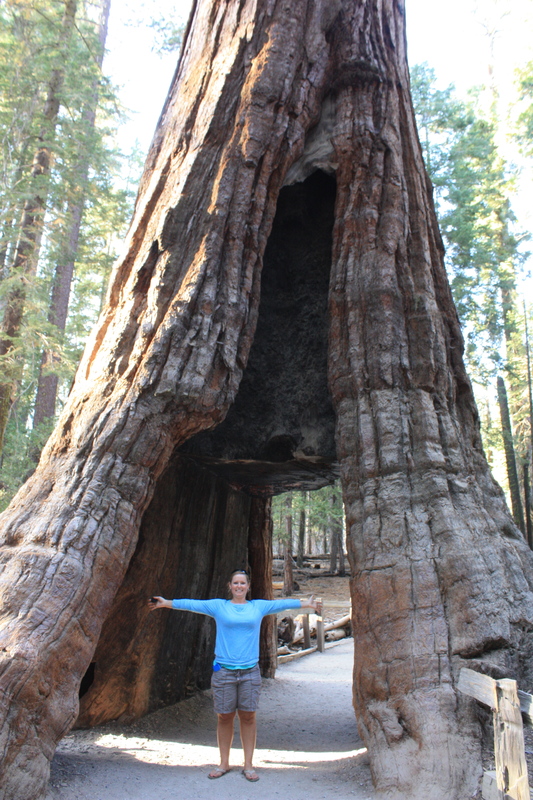 Our first stop was the southwest entrance of Yosemite to see the Giant Sequoias in Mariposa Grove. 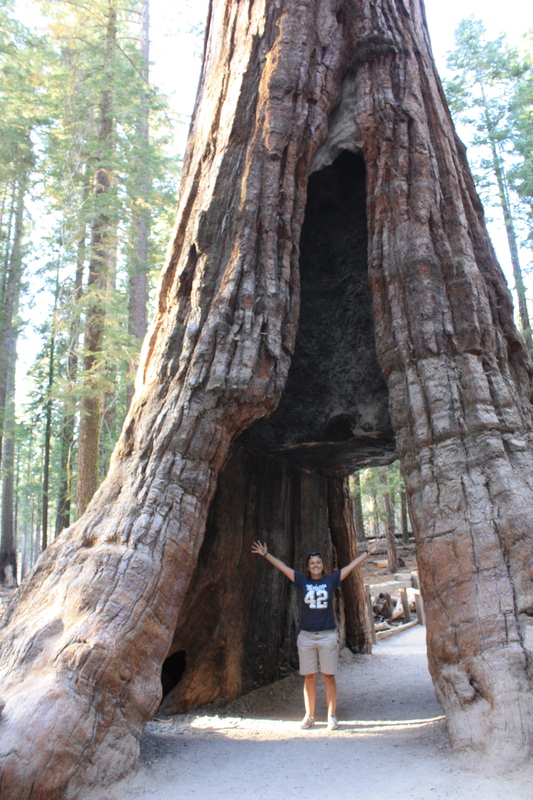 The Sequoias were amazing! 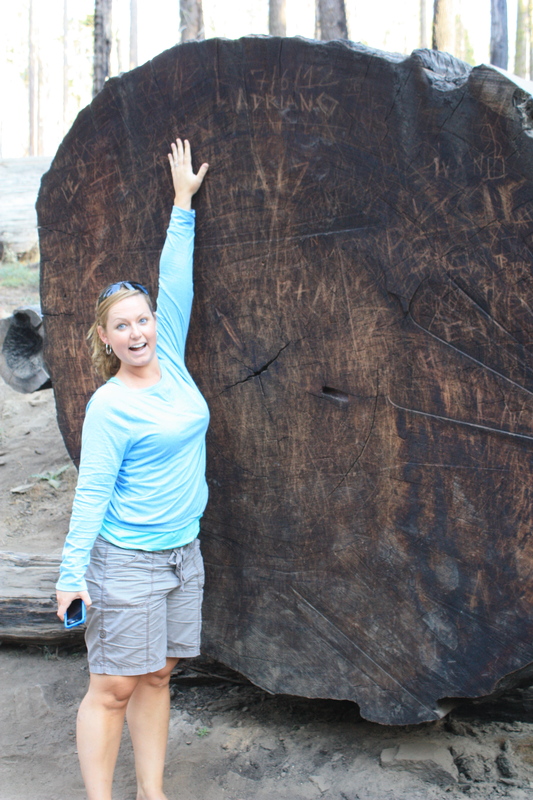 They were gigantic!! 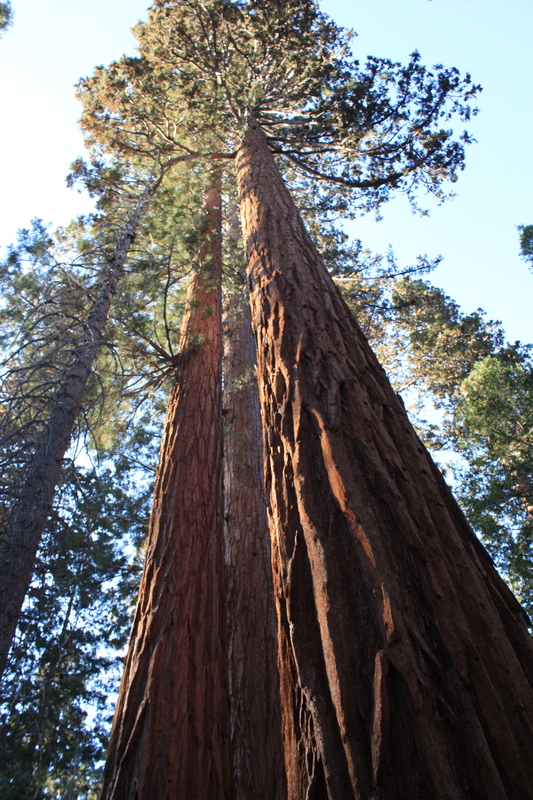 It’s difficult to capture just how incredibly large these trees are but you feel so small standing next to them. 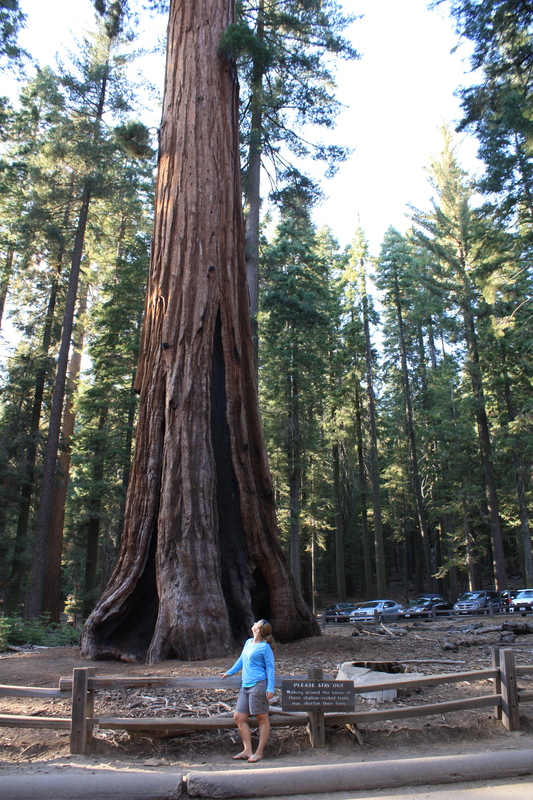 Some of the bigger Sequoias had diameters of 25 feet and were taller than buildings! 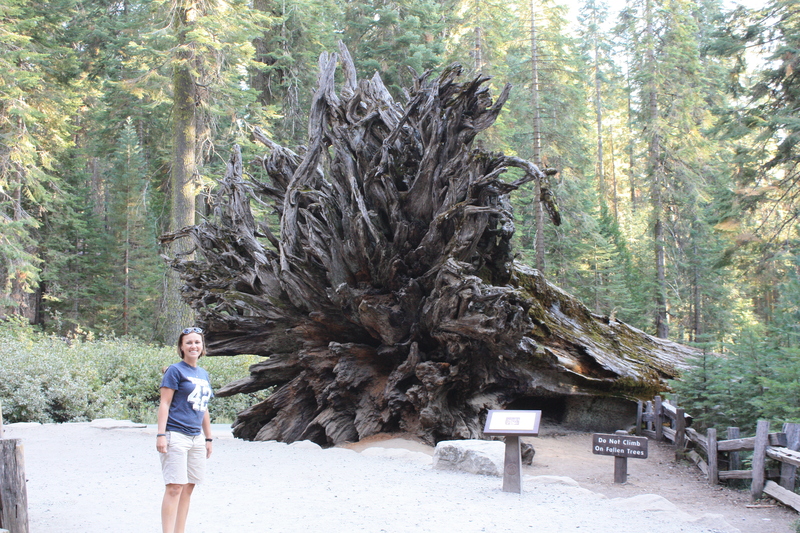 We had about 90 minutes to explore Mariposa Grove before sunset (we didn’t want to drive around the cliffs in the dark, if we could help it), so we only hiked about 2 miles. 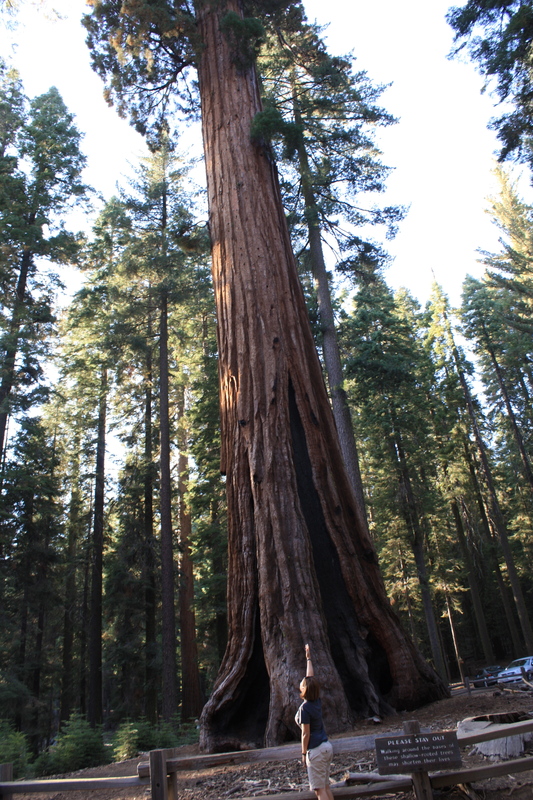 One of the coolest things we saw was a Sequoia with its trunk cut out so you could walk through it! 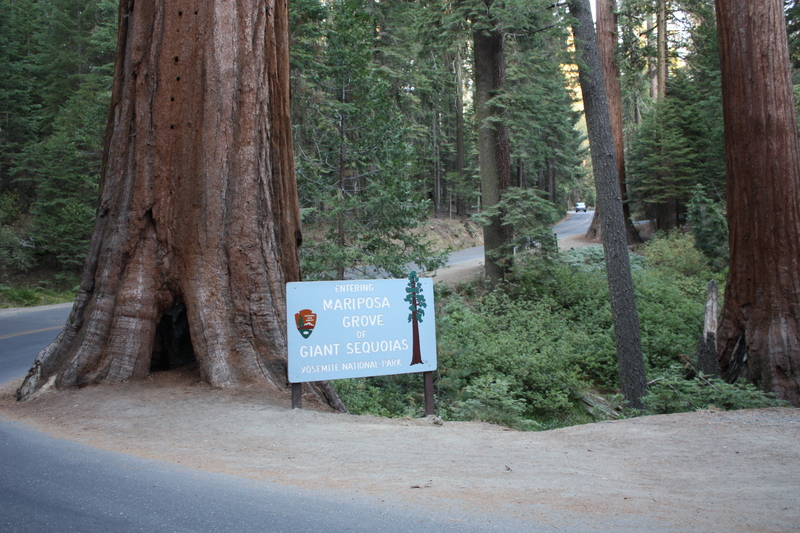 I was so excited about seeing the trees that I jumped out of the car and forgot to put my hiking shoes on…so I trotted around the grove in my flip flops. Rookie mistake. I was filthy! 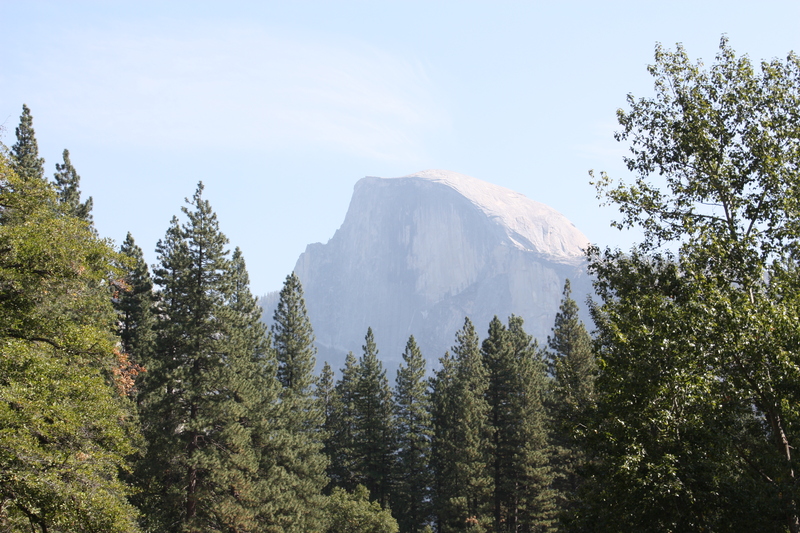 From Mariposa Grove to our hotel, Yosemite View Lodge, was about 35 miles. 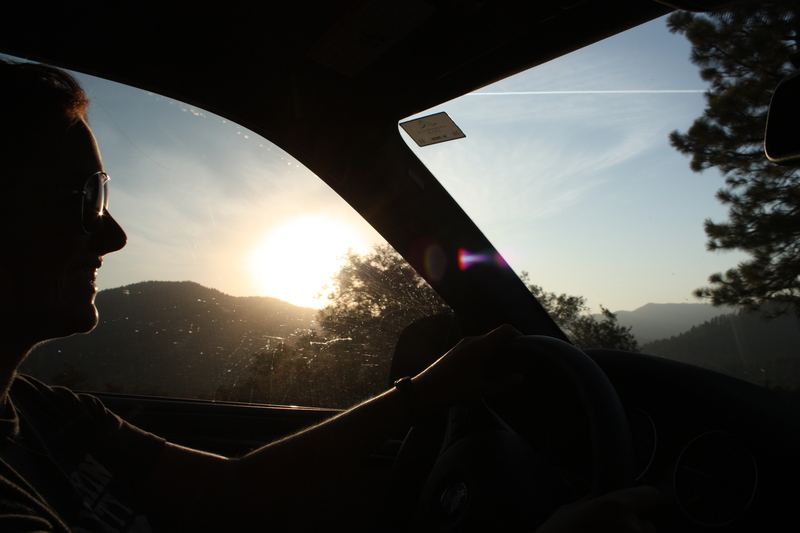 With all of the twists and turns in the road, it was a 2-hour trip! 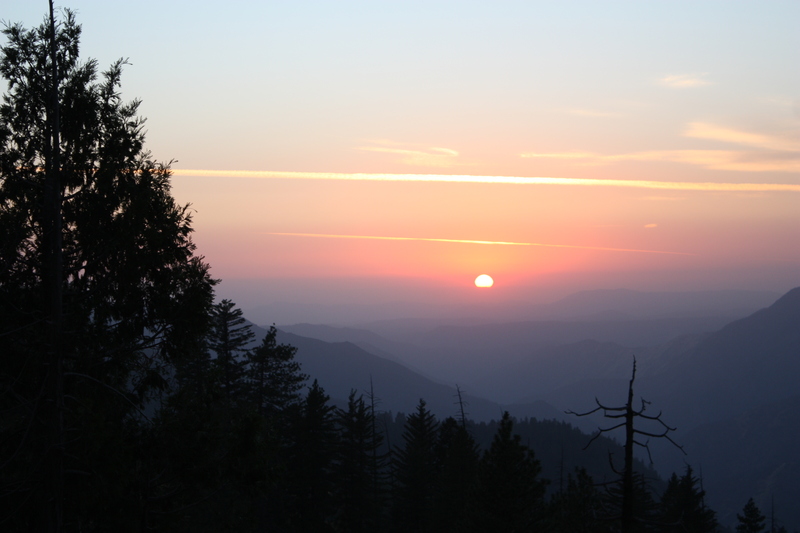 We did catch the most amazing sunset in the valley and had to pull off to the side of the road to watch. 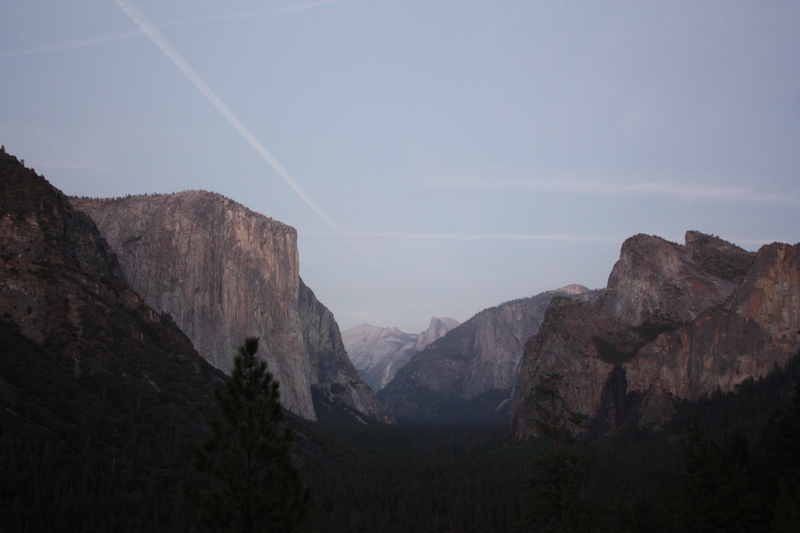 On the other side of the valley, we caught Half Dome and El Capitan (big granite cliffs) in twilight. 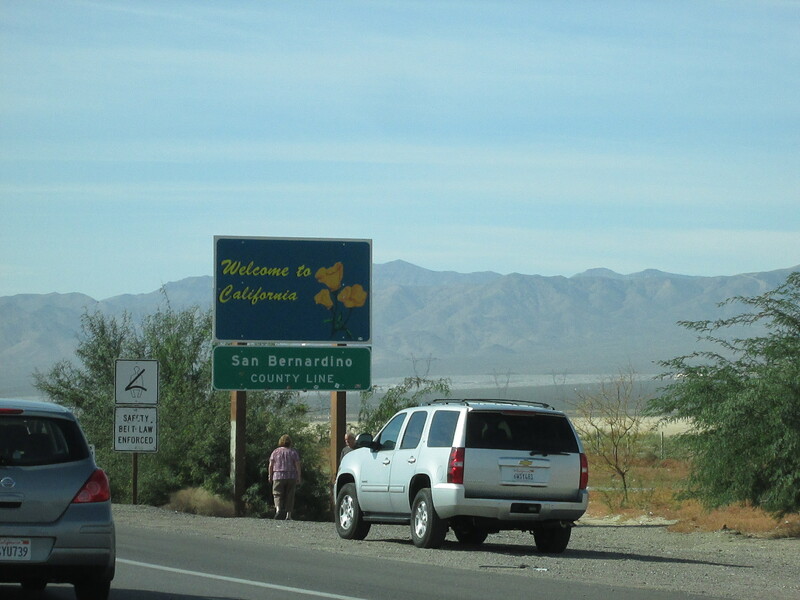 It’s Travel Tip Tuesday today! And the theme today is light & smart packing. DON’T pack when you’re hungry – just like don’t go grocery shopping when you’re hungry. You’ll pack more and spend more. Don’t waste space on bringing items in their original packaging. 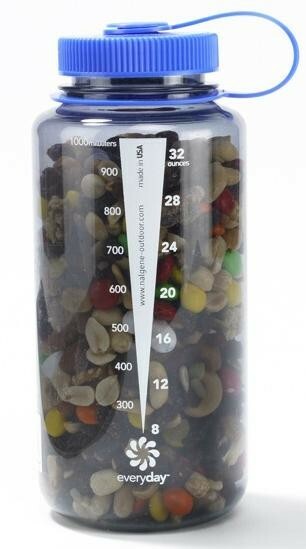 If they are loose and have to be stored in something, downsize to smaller containers that aren’t as bulky. Small bottles, big help – Tiny bottles (like eye-drop bottles) make great storage containers for small amounts of soap, disinfectant, even hot sauce if you can’t live without it… which I can’t. 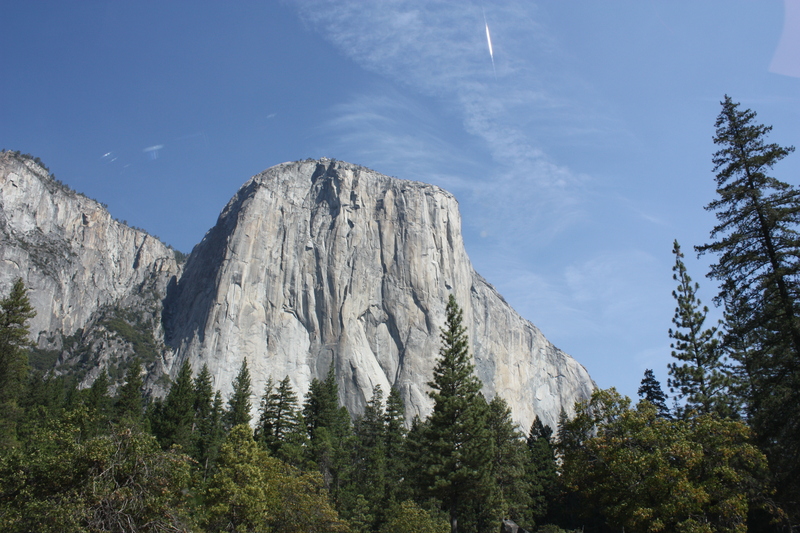 No redundancy – if you’re traveling or hiking with a group, check to see what the others are bringing so you don’t bring any duplicates. Why carry 2 of something when you only need 1? Multitask – bring items that have multiple uses. Double-duty = more space and lighter pack. The essentials: Fire starter, food, clean water, shelter/rain gear, and sleeping bag. We’ve been busy experimenting with new designs, new knots and new color combos. Below are a couple more new bracelets we’ve just debuted at our online store. All of them can be custom sized with your choice of color(s)! And don’t forget to ‘Like’ Top Knotch Gear on Facebook!